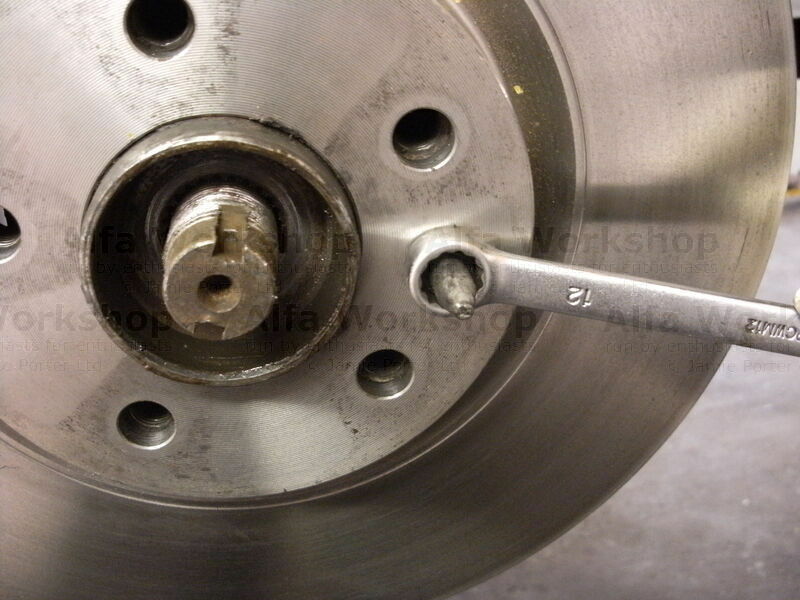 Remove the front wheel and punch out the hub nut locking tabs on both sides. 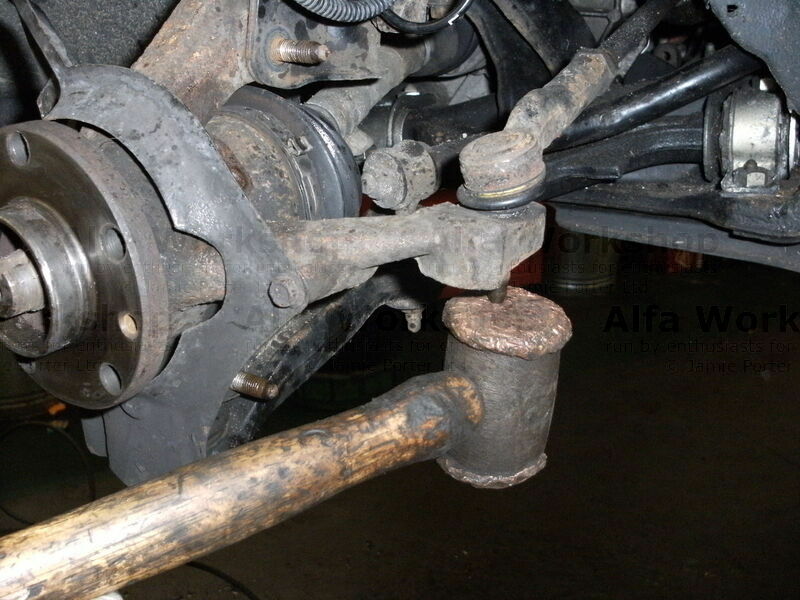 Undo the hub nut. 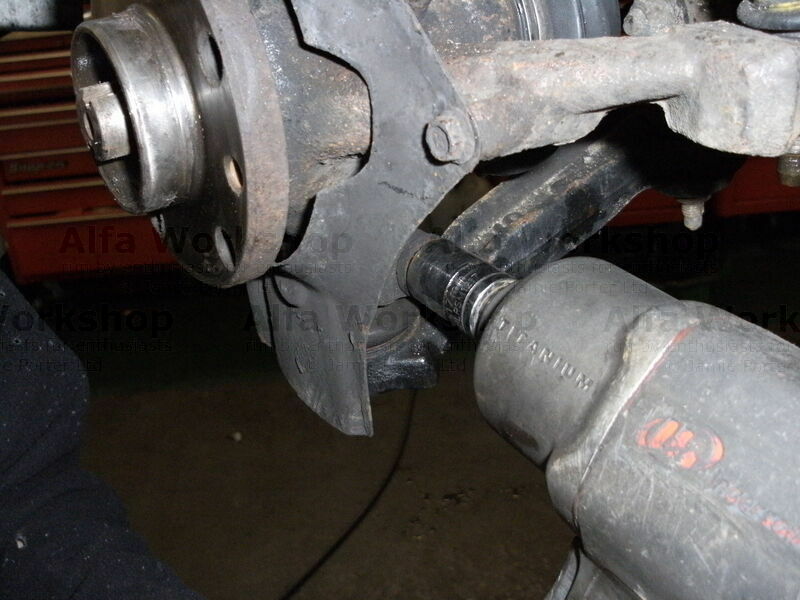 Undo the bolt holding the ABS sensor and remove the sensor (be careful as the ABS sensor becomes brittle). 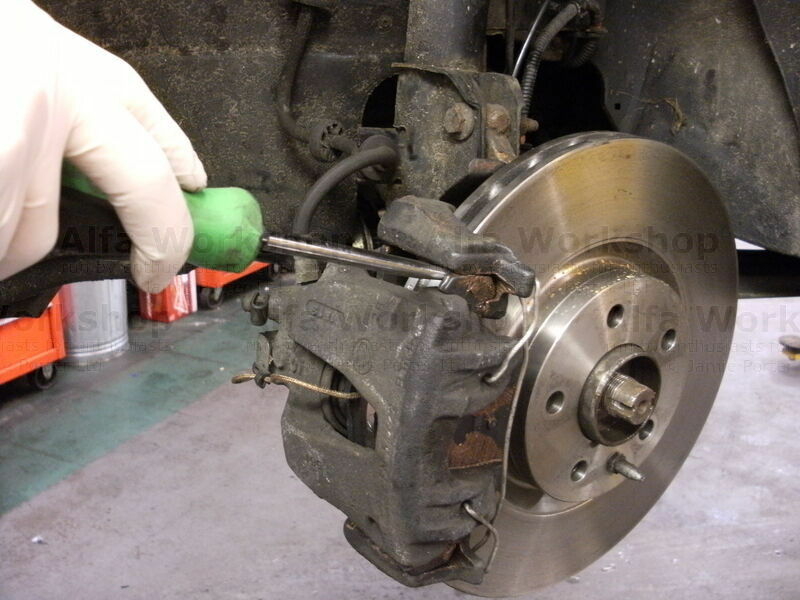 Using a leverage bar prise the brake pads away from the disc. 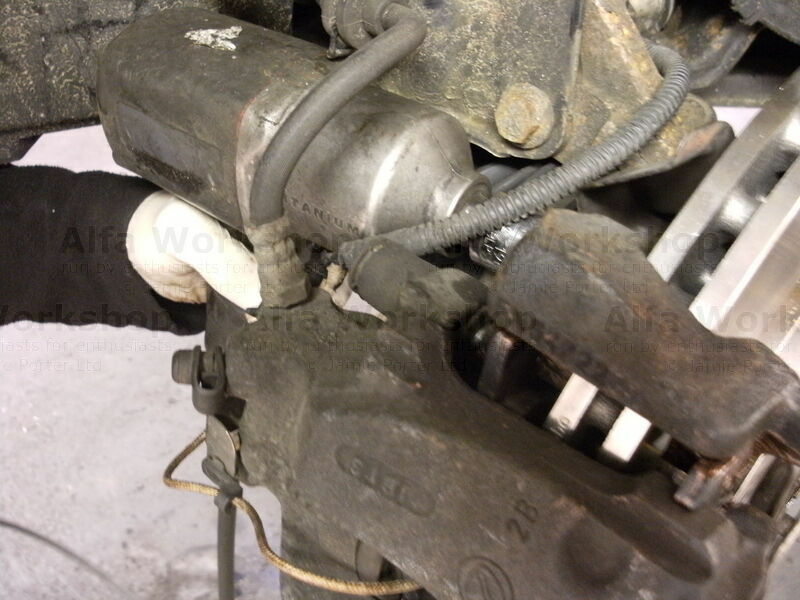 Undo the x2 bolts holding the brake calliper carrier and secure out of the way up by the shock spring. 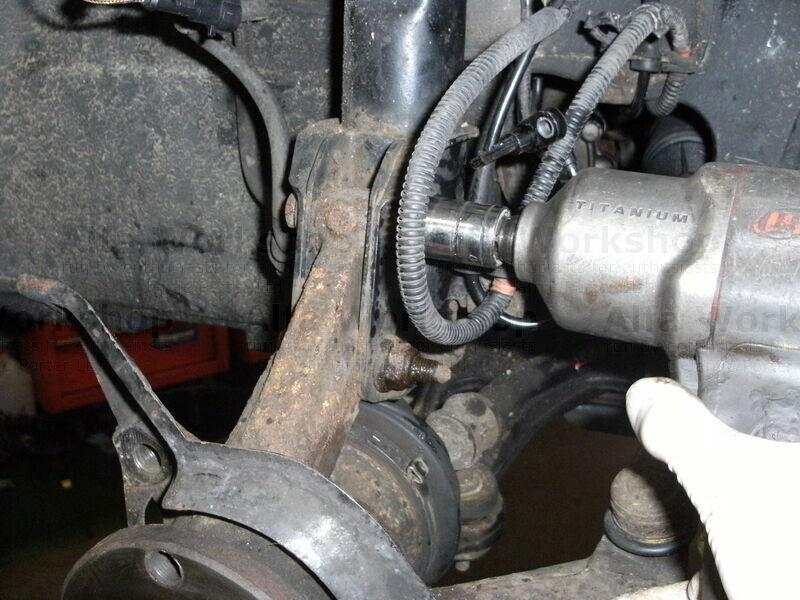 Undo the wheel locating bolt and remove the brake disc. 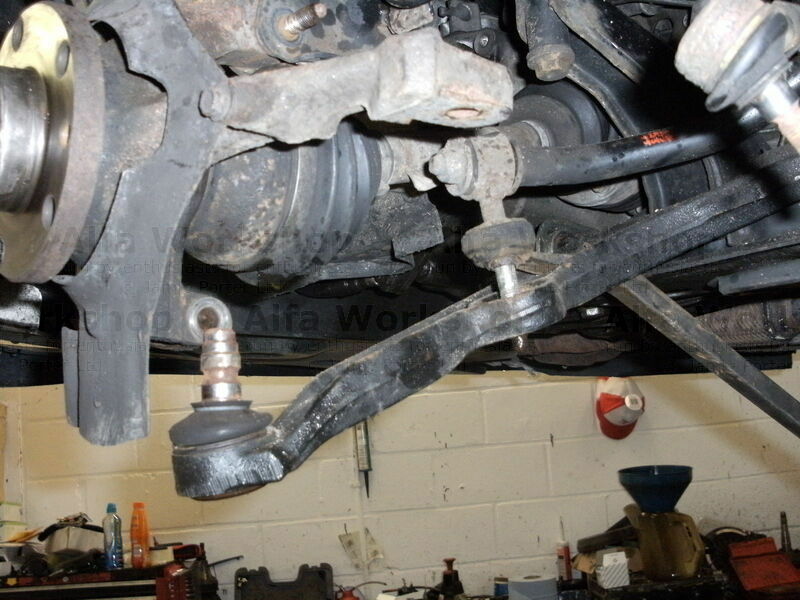 .....and the pinch bolt for the lower wishbone ball joint. 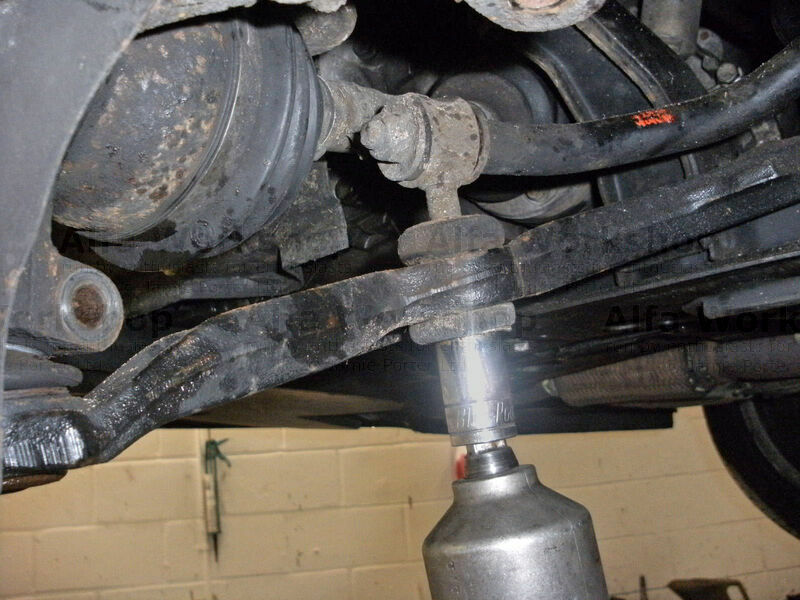 Bolts can be loosened by gentle persuasion of a copper mallet (so not to damage the bolt thread) and WD40. If you don't have a copper mallet you can soften the blow with a block of wood and a normal hammer. 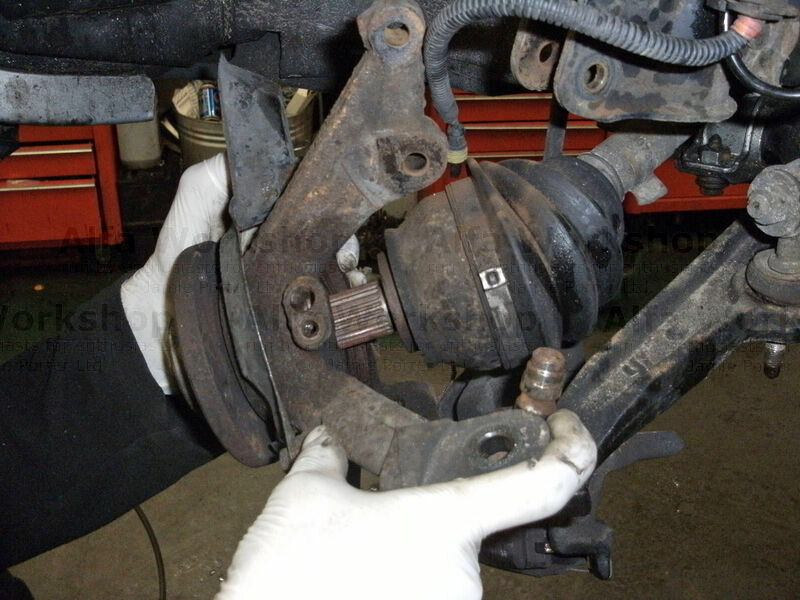 ....and prise the lower wishbone ball joint from the hub carrier. 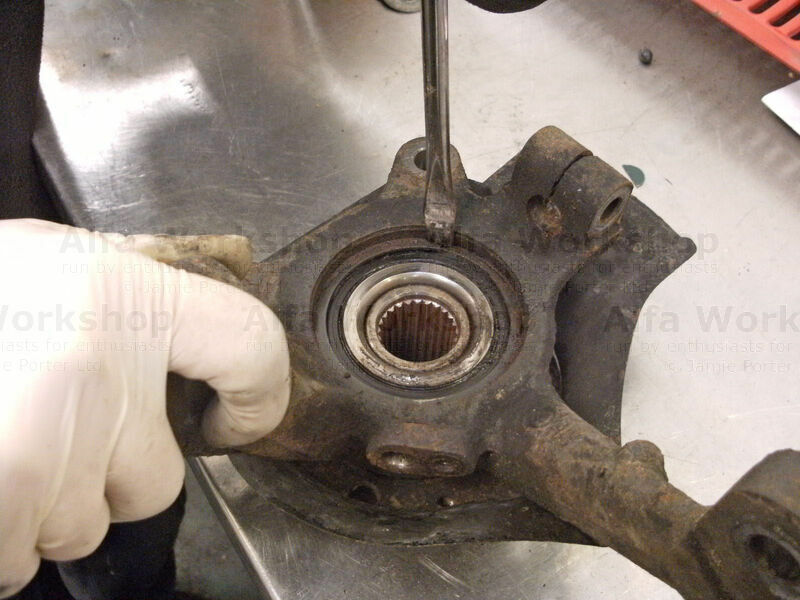 Undo the x2 nuts on the hub carrier and remove the bolts. You can now remove the hub carrier. 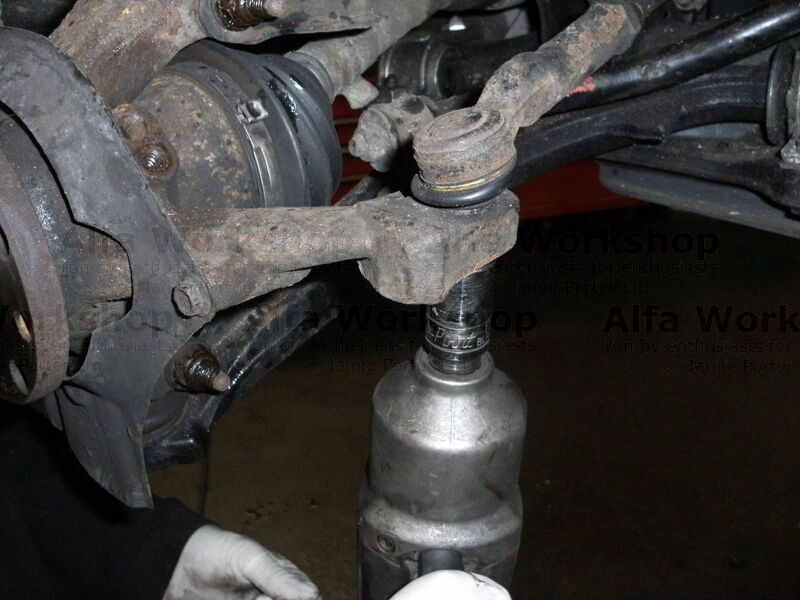 Remove the wheel bearing retaining spring clip on the inside of the hub carrier. 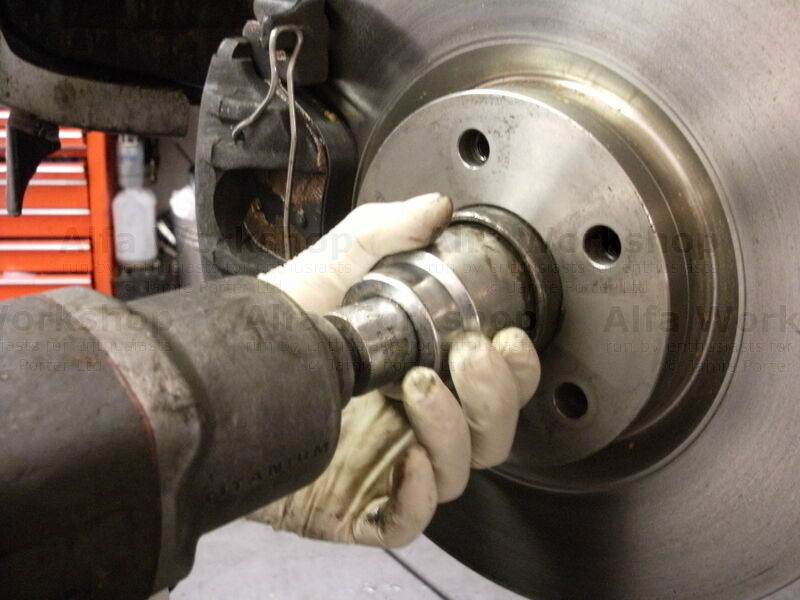 Press out the hub from the centre of the wheel bearing and watch the bearings roll. 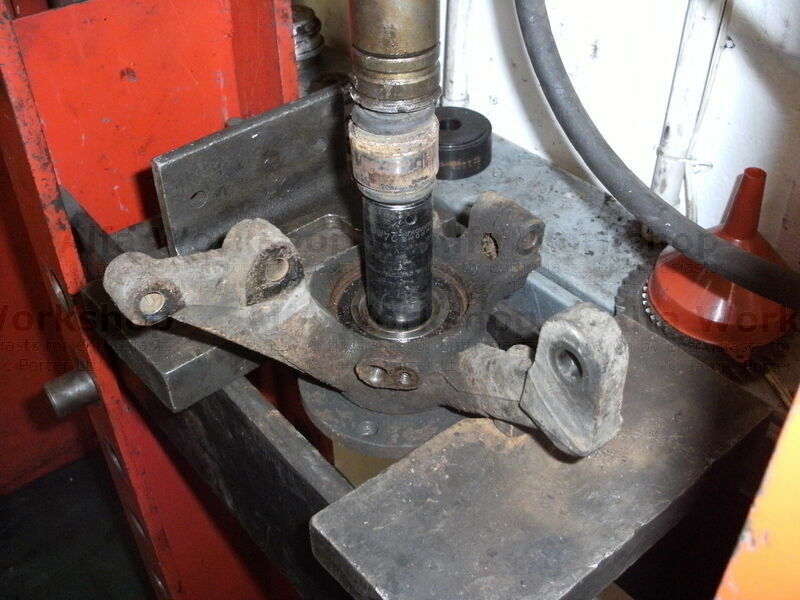 The centre of the old wheel bearing will still be attached to the hub.....time to get the angle grinder out! 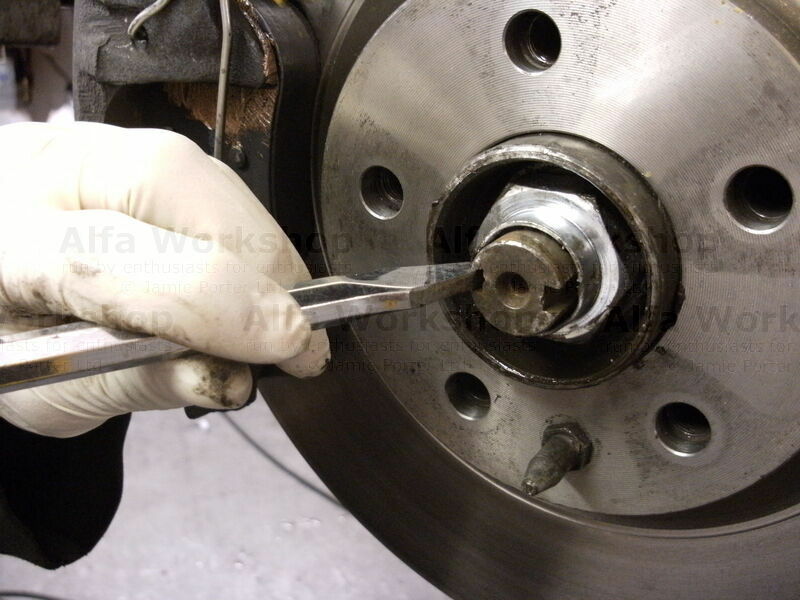 Now press out what's left of the wheel bearing. 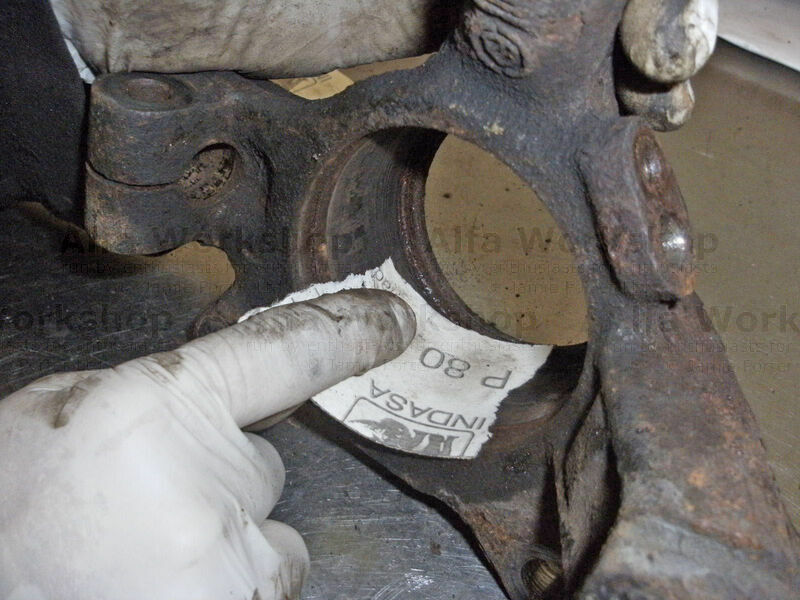 Rub off any corrosion from the inner race of the hub carrier with a fine abrasive paper. 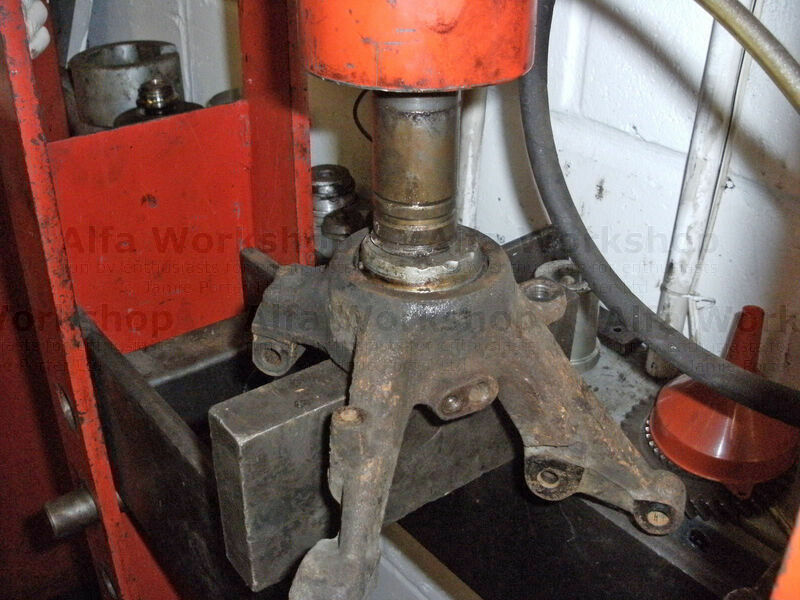 Reverse the whole process to fit the new bearing making sure the ABS magnetic strip is facing up when you press it in.